Valentine’s Day is just around the corner and if you’re yet to have found the perfect present for your other half then you’ve come to the right place. 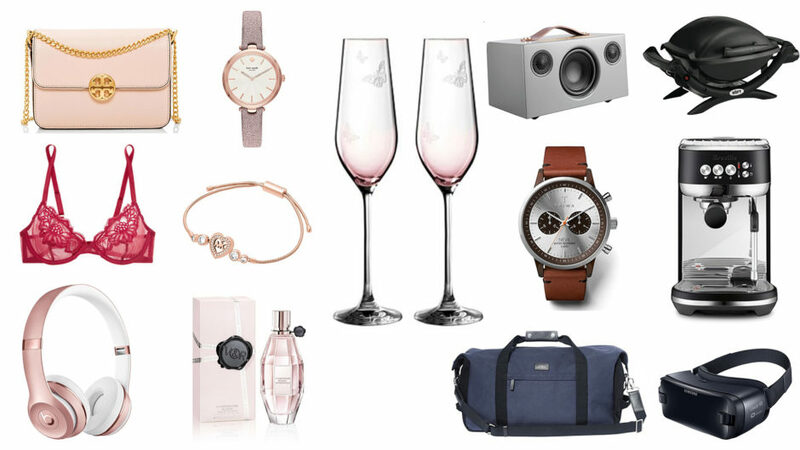 I’ve rounded up my top his and hers gift picks that are sure to impress and earn you some major brownie points on the day. From beautiful accessories for the fashion lover to timepieces that are going to make any watch fan’s day, there’s a perfect token of affection to bring a smile to your beloved’s face. And if you’re happily single, well, this is the perfect time to spoil yourself rotten because there’s no doubt that you absolutely deserve it. I hope you have a loved up February 14th! There’s always room in a woman’s life for cute and comfy PJs. A classic style that with that bright pop of red has showstopper appeal. Beautiful lingerie is a definite crowd pleaser for all parties involved. You can never go wrong with a piece of gorgeous jewellery. This is for the woman who wants her footwear to make a bold statement. A luxe candle that will elevate any home. Want to make a woman’s heart start racing? Enter Valentino and it’s day – maybe year – made. A pretty marriage of lace and satin that any woman would be happy to cosy up in. Why mess with a tried and tested formula? Red roses and chocolates are always going to be a winner. For the sporty guy who wants to inject a little luxury into his off duty style. Beautifully crafted shoes will always be a welcome addition to any man’s wardrobe. You can’t go wrong with elevated basics. A sleek style that’s worthy of a showing off. These are a perfect addition to his summer look. These classy sunnies are guaranteed to become a favourite. The minimalist style of these speakers underplays its power. Music lovers will definitely love this. You can’t go wrong with understated cufflinks.